Don’t put off buying the perfect pillow any longer, because memory foam pillow benefits are too good to pass up! They offer better comfort, better sleep, and a better life! Here’s why Sleep Natural makes the best memory foam pillow you’ll find! Memory foam pillows deliver great sleep, but they also offer several more major advantages. If you wake up with a sore neck or back pain, you’re probably sleeping on the wrong pillow. Since memory foam reacts to heat, a memory foam pillow reshapes itself to conform to your head and neck. This provides equal resistance under the heaviest parts of the head as well as under the neck to keep them in alignment and prevent pain. Memory foam products nontoxic and prevent bacteria, fungus, dust mites and mold from settling in. This allows those who have allergies to breathe much better throughout the night. The best memory foam pillow may be able to keep the airway open since it doesn’t allow the head to drop back. This is a major advantage for those seeking deep, rejuvenating sleep. One of the main memory foam pillow benefits is that they don’t go flat like a polyester or down pillow will. Memory foam reverts to its original shape as soon as you get up. Even a shredded memory foam pillow won’t get lumpy or lose its shape….you can just fluff it to bring it right back to its original form! If you’re looking for the best memory foam pillow for side sleepers, you’ll love the Kool Refresh Side Sleeper pillow. It’s made with bamboo charcoal memory foam to provide support and pressure relief for your neck, and with Perfect Temp Technology, it keeps you from sweating on hot nights. Our Kool Refresh back sleeper pillow contours to your neck while sleeping on your back but offers support to cradle your head in perfect alignment with your spine. It has Perfect Temp Technology for sleeping neither hot or cold. Down pillows have that fluffy feeling at first, but they break down quickly. Our Restore pillow is made with shredded SPA Foam that never flattens, and comes in a soft jersey cover. It’s the best shredded memory foam pillow there is! And our perfectly molded Spa pillow is also made with patented SPA foams and nestled in a cozy bamboo cover. It supports your neck perfectly for deep, pain-free sleep. If your body temperature is constantly rising while you sleep, you’re certain to wake up throughout the night. We created our Kool Dreamzz Pillow using cool shredded gel memory foam and encased it in a Tencel cover for the coolest nights possible. One of the best gel memory foam pillows in our collection is the The Kool Komfort Gel Pillow. It’s made with patented SPA gel-infused memory foam and super comfy for side and back sleepers. And if you’re looking for amazing support in a temperature neutral pillow, try our Supreme Pillow with gel memory foam and Perfect TEMP Technology. Why Buy a Sleep Natural Pillow? CertiPur-US Foams. To carry the CertiPur-US label, foams used in mattresses must meet strict guidelines that ensure they are made with no ozone depleters, no flame retardants, no formaldehyde, no heavy metals, no phthalates regulated by the Consumer Product Safety Commission, and they have low Volatile Organic Compound emissions for indoor air quality. Made in Our American Factory. We use materials found right here in the midwest including wild-harvested bamboo, organic cotton, and natural latex, and we build them in our own building. We carefully inspect each mattress as it’s made and then sell it straight to the customer! Luxury You Can Afford. We believe everyone should be able to enjoy memory foam pillow benefits, and because we cut out the middle man, we’re able to offer our products affordably. Find the Best Memory Foam Pillow For You Today! 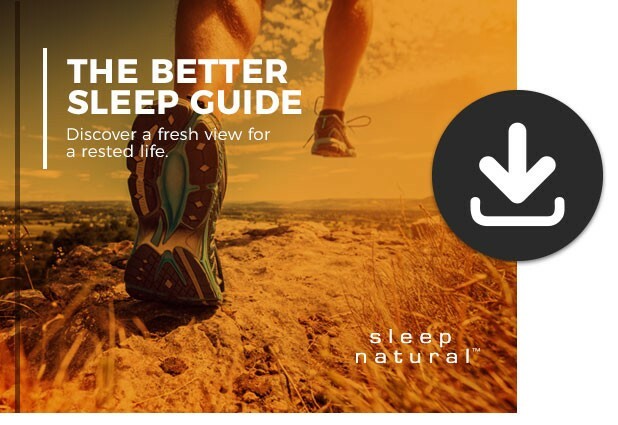 Shop the Sleep Natural pillow collection now or visit a Mark’s Mattress Outlet near you to try one before you buy it. You’re sure to find the perfect pillow to help you get the sleep you deserve! Learn how to live a restful life with our FREE ebook. Download now!